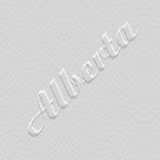 The oldest genealogy records in Alberta are often the records of Metis families, who came west with the fur trade. and the residents were mostly Metis, Cree, and Assiniboine (Stoney Sioux). The Metis spoke mostly French, Cree and a mixed language called Michif. Glenbow Library & Archives Metis genealogy, CPR land sales records, local history publications from communities in Alberta, city directories from Alberta, and more.